Online entrepreneurs, marketers, networkers, real estate salespeople, educators, and trainors need to have an online marketing system. But thousands have held back because they felt they did not have the computer technical skills. Assistance in publishing one useful or entertaining article on your website, to attract the people that you want to serve. With the above system, the non-techie activity that you can do is promote a useful or entertaining article found in your website. That useful/entertaining article will invite the readers (the people you want to serve), to enter their email address in order to get other useful or entertaining info from you. That’s where the Email Autoresponder comes in. Aside from sending your email subscribers the useful/entertaining info that they subscribed to, you can also let them know about the product or service that you’re offering. Some of your email subscribers will appreciate the things you send them via email, to the point that some of them will buy the product or service that you’re offering for sale. And that, in summary, is what an online marketing system does for you. So get the online marketing training today, and enjoy the Done For You online marketing system assistance and website/email marketing setup from techies! P.S. 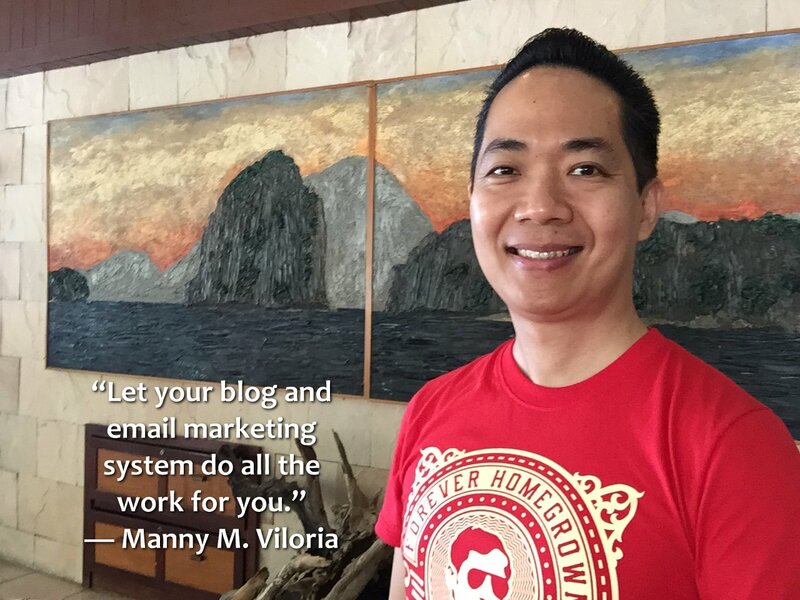 More and more Pinoys are discovering and enjoying the power of Online Marketing, kahit hindi ka techie!